Hey Everyone, it's Lisa! 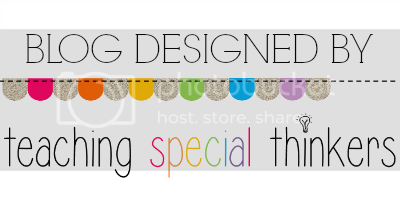 Thanks the the AMAZING response to my post Tips for 1st Year Special Education Teachers, we have a whole series of posts on the topic for you! Be on the lookout for this image in the upcoming weeks to get tons of great tips from experienced special educators! This first post in the series is by our fabulous CAITLIN who has some wonderful tips about working with paraprofessionals! One of the scariest things for me my first year was not the kids, but working with my paraprofessional. I mean, she was old enough to be my mom (Sorry Ramona!) and she had been working in that classroom and school for at least 5 years. When I went into my classroom for the first time she had her (very large) desk in the back corner with some stuff hanging on the wall near it. The first thing I did was move her desk. I had to make sure the room was mine and the way I wanted to be setup so that we could have a successful year. We never met until the first day that teachers had to be in the building and all of the paras came to eat breakfast with us. Our first year was crazy, but we became good friends and in the past 8 years, I have learned a lot. I am no longer working in that school, I now work in a different district with a different group of paraprofessionals (all who I love dearly), but what I learned my first year (and every year after that) has been invaluable. The paraprofessionals I currently work with are great! We are friends and even though they sometimes get very motherly on me, I still wouldn't trade them for anything. With that being said, here are a few things you should keep in mind when working with paraprofessionals. 1. Treat your paraprofessional with respect. Don’t ask him or her to do anything you wouldn't do. If they are expected to change a diaper, then make sure you jump in a change a few yourself. 2. Let the paraprofessionals know what your expectations of are them. I find it best to write it out. That way you can always refer to it. I made a plan a few years ago that I was told was very helpful. You can check it out here . Feel free to adapt it and use as needed. Also, while blog stalking browsing, I read a great post on Make Take Teach where Julie explains how she structures student time in inclusion using a curriculum matrix. This also provides that paraprofessional with a plan. 3. Keep the lines of communication open. I can not stress this enough. The ladies I work with are my lifeline at school. If I am out, they are the reason the classroom runs smoothly. There are often evenings where we are on the phone discussing something that happened during the day or texting reminders to each other. This year I am planning on having a communication center where I can post notes for the day and a “ Ask Caitlin” notebook so they can write things down that I need to address at one of our meetings. I also want to include a calendar in this area. 4. Ask the paraprofessionals for ideas and suggestions. They are a wealth of information and sometimes will have an idea that you never thought of. This can be for anything from a lesson idea, behavior modification or a suggestion on how to word an email. Here are some links to some other sites that you may find helpful information on working with paraprofessionals. 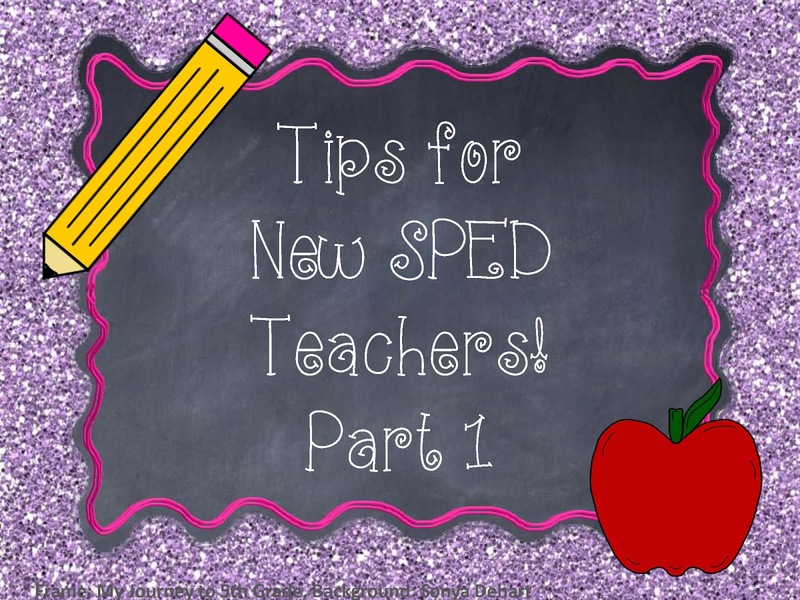 I hope you enjoy the rest of the series on Tips for First Year Special Education Teachers!